Miracles in the West Virginia Annual Conference and in Bungoma, Kenya In less than eight years, Living Hope High School has increased our support from 13 local United Methodist Churches to 68 UM churches in West Virginia, 75 individual United Methodists, and 22 United Methodist Ministers in the West Virginia Annual Conference. These United Methodists are aglow through the work of the Holy Spirit in our midst. 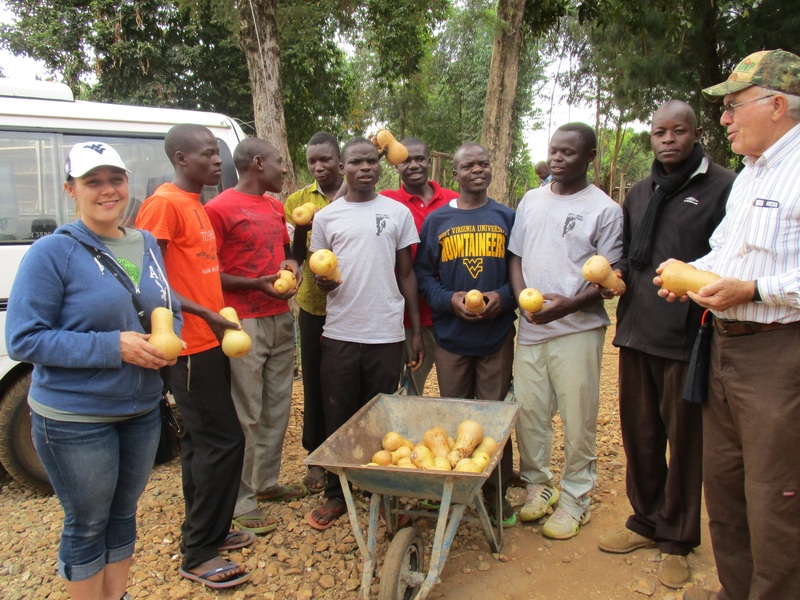 They are the only supportive arm for Living Hope High School in Bungoma, Kenya. We receive no other funding except through sponsorships and donations. 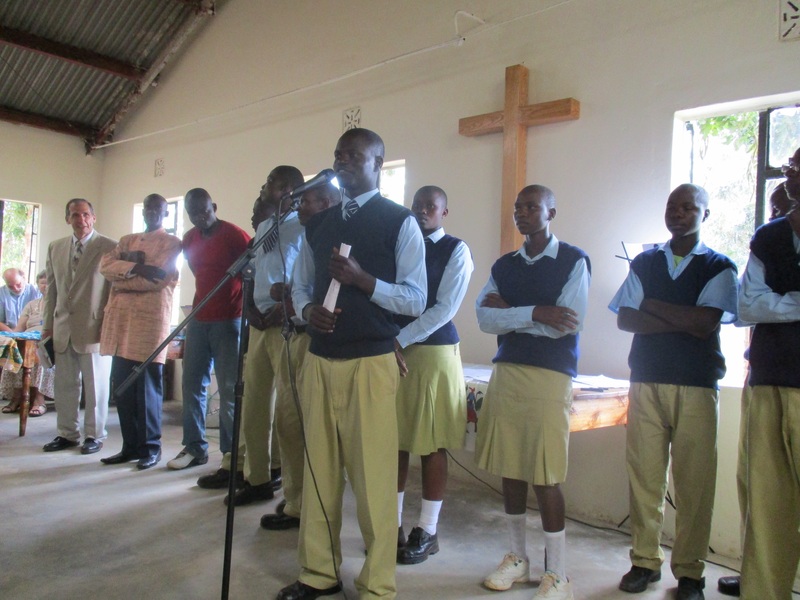 This 83-student Kenya Accredited residential Christian school serves impoverished teens. Some have lost one or both parents due to AIDS or desertion, and others through disease. Some have both parents, but live in abject poverty. Almost 95% of these undergraduate high school students are sponsored by members of churches in the West Virginia United Methodist Conference! 53 college and training school students are also sponsored by UM members. One college student is sponsored by the WV Annual Conference. To what else can we, UMC members, attribute this miraculous outpouring, other than the Holy Spirit? GOD IS AT WORK! The Lord has drawn us as a conference into this wonderful project. He has put a personal concern on our hearts for the physical and spiritual nurturing of these Christ believing young people. One of our own members, Marilyn Uhl, retired from teaching here in West Virginia and went to Kenya (unsponsored by any church) in 2009 to follow the Holy Spirit’s lead and to begin this mission project. Seven brick buildings being used as classrooms, a brick assembly hall, a newly wired computer lab, and a sparkling new kitchen now make up our campus. Some of these improvements, along with a new tile floor in the kitchen, was upgraded by one of the 3 mission teams this year. 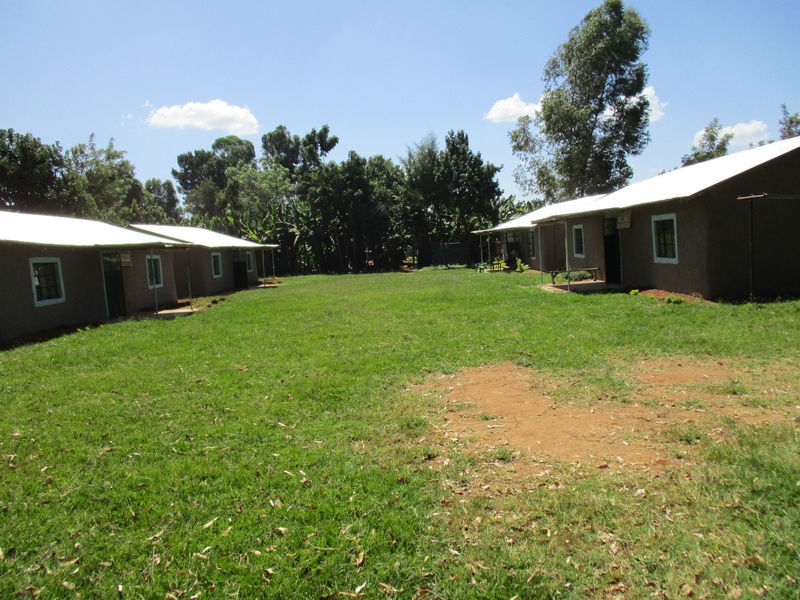 Eight donated cottage dormitories are completed and occupied. A new deep well, 10,000 liter holding tank, faucets throughout the campus, and a beautiful tiled hand washing station has improved our sanitation considerably. Our “AGAPE” brick science building is now finished and in use for lectures and labs daily. The new “Healing Hut” (small dispensary hospital) is complete and is staffed by a registered nurse two hours every morning. Electricity has been installed in the office, in the computer lab, the dining hall, science building, and the Healing hut. The school has expanded to almost eleven acres, including a soccer field, a volleyball court, and a permanent cow pasture and barn. A new chicken coup, housing 60 laying hens is providing students with a boiled egg 2 days per week. Thanks go to the Potomac Highlands pastors! God is at Work! The students tend their own garden, milk cows, chickens, and banana grove while competing inter-scholastically in girls and boys volleyball, soccer, and track. A new track team has been formed because the Lord has sent us some outstanding runners. 100% of the students obtain a B- grade on their country’s achievement tests and report cards in order to remain enrolled. Five seniors received government scholarships this past year to universities. The students and faculty members feel God’s benevolent hand on each of them. The students pray and worship with an intensity and dedication that inspires each of the sponsors to increase their own prayer life and their dedication to follow Jesus Christ’s example to feed the hungry and clothe the naked! The faculty at the high school has expanded from its original 2 to 14 college educated teachers. Nine local people are employed as full-time service staff, cutting wood, cooking, etc. The wages of these permanent employees has definitely affected the economy in the local area. The number of construction workers who have been hired, and the supplies that have been purchased and used, have helped hundreds of families live at a higher standard. The school always uses local markets and suppliers for food, maintenance, construction, and supplies. We praise God for this opportunity. One mission team from Avery UMC built a much needed community bridge. One mission team from Winchester, VA remodeled the primitive kitchen, and one medical team of former mission team members taught Red Cross First Aid to all the sophomore students, gave school wide medical tests, and administered vaccinations. Thank you and blessings VIM participants. You have made a huge difference at Living Hope!!! The school is an official UMC Advance designation for mission giving. You may send your donations by check payable to your local United Methodist church with the project name “LIVING HOPE HIGH SCHOOL” and project number #3021425 on the check. Online gifts can be sent to: advancinghope.org. Click on the “give now” tab and use the number #3021425. This information is also on our website. We now have a new easy to use website: livinghopehighschool.org. Additional information can be found there plus our monthly newsletters. We are being blessed and drawn closer to our Lord as God uses us to bless others. If your church would like to join in this journey of sponsoring a student, or have a Living Hope speaker come to your church and give you further updates on new happenings, call POT. HIGHLANDS District office at (304) 822-4191 or Helen Markwell (304-567-2254) Join us in praying that the Spirit continues to lead us and provide for us at Living Hope High School. We keep Jesus FIRST!